It's no secret how important Black Friday/Cyber Monday is for your ecommerce business final quarter sales. In 2017, BFCM sales smashed previous records with close to 12 billion in sales. Shopify merchants alone contributed significantly with over 1 billion dollars of the BFCM pie . Predictions tell us the sales trend is only going up—and it's never too early to start preparing your processes and planning for BFCM success. 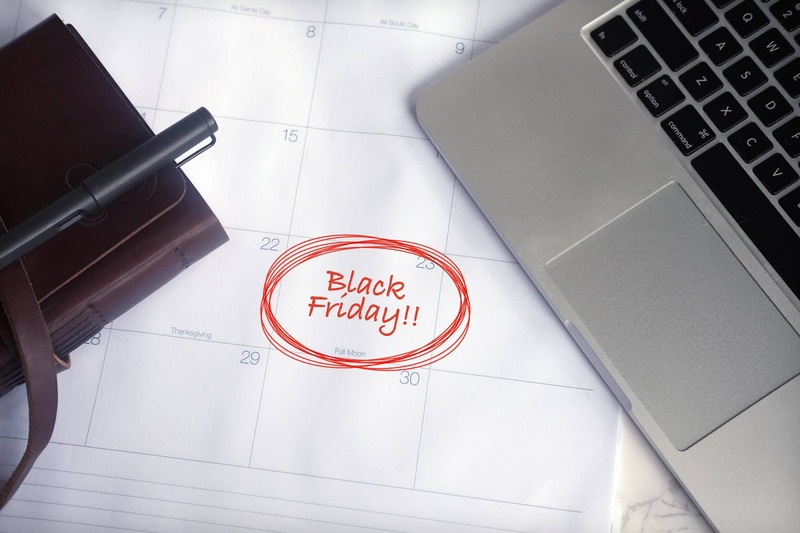 In this 3-part Black Friday/Cyber Monday Success series, we aim to give you some helpful practices and tools so that you can succeed in your BFCM sales goals. It's the Monday before Black Friday and you are spending the first of four all-nighters drawing up sales-copy because Friday is coming. You are so busy the week of when you remember that last second update you need made. An out-of-office email from your lead developer reminds you he is sitting on a beach in the Turks and Caicos islands. Your BFCM week is beginning to look like a disaster. It's time to get started on your BFCM plans...now! Charting out your path toward success on this all-important holiday weekend begins with thoughtful implementation today. Save yourself from last second midnight BFCM stress. Let's look at 4 different ways you can begin planning your BFCM timeline today. Taking time to audit your current shopify setup is a process every user should be doing on a regular basis. The importance is magnified tenfold before a major holiday sales push like BFCM. It is paramount to identify the highest potential areas where your setup could fail you. Where else should you start than in your own code-base? Have you checked and rechecked your code in awhile? Making sure you have cleared any potential landmines in your back-end can be the difference in saving you from hours of putting out fires during your sales push. Make sure your code is clean and bug-free. After clearing out all possible errors on your end, you should be looking to those tools that your setup utilizes on an everyday basis: applications. Now is a good time to audit your current applications, eliminating and updating whatever is cumbersome, outdated, or untrustworthy. Do you have any barely utilized applications that are just taking up space in your setup? Remove them. What about apps you've yet to fully vet? Now is the time to make sure you can trust the applications you are using. Does the app have a clear channel toward support if something goes wrong? What type of contingency plan does it have if the worst happens? Making sure your apps are reliable and up to date is key in auditing your current setup. Been meaning to test out an abandoned cart application? Take some time in the months leading up to BFCM to experiment with a new application that might be a helpful new tool. Find out now if your setup could benefit from a new app. Accessing your inventory apps can be a major make or break practice prior to BFCM. With the increased traffic heading your site's way, be sure to find out if your current third-party inventory application is setup for success when it comes to scale. Knowing that there are clear communication channels to app support can make all the difference when your store's traffic explodes. Taking time to audit your current setup is a sure-fire way to make sure you are prepared for success come BFCM. With the sheer amount of sales product and merchant population during BFCM it is easy to get lost in the pandemonium. Not unless you have a killer marketing strategy that you have carefully crafted in the months prior to the big weekend. Another key factor in planning your BFCM is mapping out your marketing. Long before you post your big BFCM sales ads, you should have a clear marketing guide in place. What products and sales do you plan on promoting come Black Friday? Scan your inventory and determine what sales you want to run come holiday time. Then, schedule out when you want the sales to run as well as how much of a discount you will offer. If you are a Shopify Plus merchant, take advantage of LaunchPad for scheduling and automating your sales. Another way you can jumpstart your holiday marketing is by writing your ad copy ahead of time. Nothing is more frustrating than trying to come up with the perfect words right before a major promotional opportunity. Invest the time by drawing up engaging copy today. This will free you up to think about placement and execution later, without the dreaded copy-monkey on your back. A commonly overlooked aspect of preparing for a successful BFCM sale is knowing when to finalize your BFCM planning. At some point in your holiday schedule, you need to determine when to rely and act on all of your careful planning. All theme-based decisions should be finalized at a fixed point prior to the sale. You shouldn't be trying on different theme layouts by the time the week that Thanksgiving rolls around. Setting a hard-stop roughly two weeks out is a good target date for theme finalization. This will allow you to focus on advertising and customer support when sales start soaring. Alongside your product and/or services, developing and executing a thoughtful BFCM strategy is a surefire way for you to surpass your holiday sales goals. But without preparing for your BFCM success, you could be missing out on an opportunity to turn holiday shoppers into loyal, returning customers. Stay engaged with those customers through a steady of stream of emails and an active social media presence. Another great practice for those customers that did not sign up for your emails or follow your social accounts is retargeting. Setting up retargeting pixels on your site can help you to keep inviting those one-time holiday customers back into your brand. This series is meant to help get you started on the path toward BFCM success. Don't wait until the week of to get your strategy implemented. You can begin planning, auditing, and marketing for BFCM today. Stay tuned for our Part 2 of our 3 part series where we get into the best practices for automating BFCM on Shopify.